The subject of Gold Mining, isn't a very trendy topic, compared to 101 gold facts, around the aesthetically gifted, ending their day's work with aperitifs in porticoed wine-bars adorned in... brand spanking new gold jewelry. Anyone for Majorica Pearls? Hmmm...No?? the History of Rhinestones maybe? Then I guess the personal account of Pamela, getting flecks of gold from a river in the South Pacific just to survive wouldn't go down too well, dining alfresco, around there either. In the current global economic meltdown, buying gold in the form of outright physical gold ownership, just makes long-term sense, but for those still sitting on the fence and would like to know about investing in physical old gold, the following facts about the gold mining industry, are shocking but a must read before you buy gold. Got your hard hat on? We're going down and getting dirty. The ongoing operations of large scale mechanized mining is destructive to both the land and to adjacent aquatic ecosystems. An ecosystem is a specific area of size in which climate, landscape, animals, and plants are constantly interacting. Ecosystems sustain life. Gold-mining, specifically, open-pit mining and some of the methods used to extract the gold threaten, Ecosystems. Many people are now considering the benefits of choosing a sustainable alternative such as Old Gold Jewelry and Natural Persian/Arabian Gulf Pearls that respect nature as a resource rather than taking advantage of it. There is no such thing as 'sustainable mining'. In fact, the term is actually an oxymoron, meaning two words with essentially opposite meanings, like “open secret” or “seriously funny”. ➨ Did you know that One new gold ring generates 20 TONS of mine waste? ➨ Did you know that each ton of gold mined today costs one life and 12 serious injuries? (1996, Pik Botha, the South African Minister for Mineral and Energy Affairs at the time). 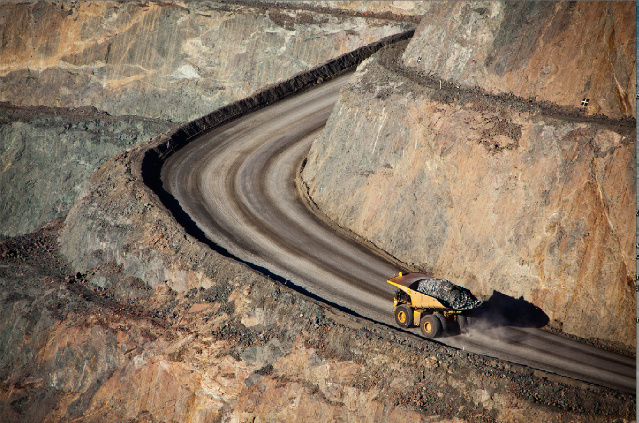 ➨ Did you know that modern mining methods displaces whole communities? ➨ Did you know that smelters pollute the air we breathe and add 142 million tons of sulfur dioxide to the atmosphere every year - 13 percent of global emissions? ➨ Did you know that 99 percent of the children in the Peruvian town of La Oroya (where there is a smelter that produces gold bullion bars, silver, lead cadmium, zinc and copper) have severe lead poisoning and 20% of these children need urgent medical attention? ➨ Did you know that the water and air pollution create other problems, forcing families to spend large amounts of money from their meagre incomes treating asthma, skin diseases and many other sicknesses. ➨ Did you know that artisanal gold mining is one of the highest sources of mercury being released into the environment in the developing world? At least, one-quarter of the world’s total gold supply comes from artisanal mining. ➨ Did you know that industrial accidents from mining involving spilled chemicals can completely devastate communities like Cajamarca in Peru? ➨ Did you know that gold mining is no longer a stronger generator of jobs and thankfully is rapidly declining? ➨ Did you know that gold is a non-renewable resource and can only be taken out of the ground once? Once the gold deposits have been depleted, most of these large-scale operations typically poison thousands of hectares, leaving in its wake, a devastating landscape, rubble-strewn land drained by acid streams? ➨ Did you know that mining operations are, usually, set up without the consent of local communities, Indigenous people and farmers? ➨ Did you know that forced removals, physical attacks and loss of livelihoods associated with gold mining and land expropriations are serious human rights violations? ➨ Did you know that the Glamis Gold Ltd. mine proposal in California will destroy over 50 sacred sites of the Quechan Indian nation? ➨ Did you know that even when surface land rights are clearly titled to Indigenous groups, governments often sell off the subsurface rights to mining corporations? ➨ Do you know that gold mining is a major threat to large tracts of undisturbed forest called "frontier forest"? ➨ Did you know that advanced gold mining methods are increasing pressure on governments to permit mining in otherwise unprofitable mining areas, putting even more areas under risk? ➨ Did you know that gold mining methods that involve digging-up ore generates massive amounts of waste? ➨ Did you know that one gold method involves a method call "heap leaching". This method involves "dripping" a cyanide solution through huge piles of ore. The solution strips away the gold and is then collected and then run through an electro-chemical process to extract the gold? ➨ Did you know that 99.9% of these huge toxic heaps are waste dumps and are so large they can reach as high as a 30 story building and take over whole mountain sides. ➨ Did you know that cyanide used in leaching gold is extremely toxic? One rice-grain size dose of cyanide can kill humans? Did you know the cyanide and other chemicals used in mining pollutes rivers and water sources and kills fish and other wildlife? ➨ Did you know that some miners regularly dispose of toxic waste in rivers, lakes and even oceans? Mine waste also includes byproducts such as mercury and heavy metals which work their way into the food chain and make people and animals very sick. ➨ Did you know that mining is one of the most dangerous jobs in the world. Rock falls, tunnel collapses, fires; heat exhaustion claim the lives of over 15,000 miners every year? Investing in Old Gold Jewelry that leaves no carbon footprints is an ethical chose with respect for the environment. No mining involved!